The space of Enoteca dai Tosi is deep and multiple in an unexpected way. Its material continuity brings back to the ancestral memory of originary domestics capes. To find orientation and identity within such a variety of forms and availability of rooms, an architectonical mediation is required. The aim of what follows is the creation of a system of “maximum visibility” and the development of a narrative path. 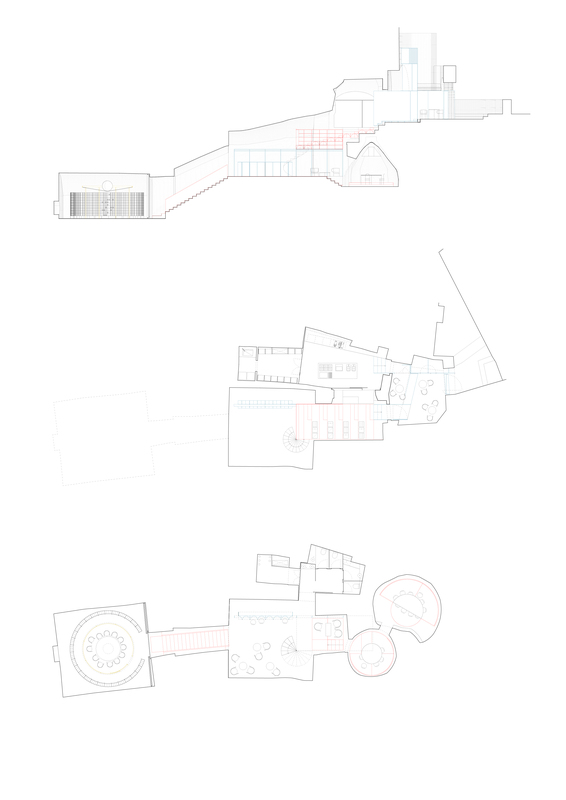 Thus breaking into specified “chapters” the continuos experience of the space. The new Enoteca dai Tosi will be a continuos sequence of rooms with a strong identity, each acting as a character with a dfferent role. The entrance is through a patio, the scene for outdoor relations, where a portal/facade underlines the urban role of the new place. 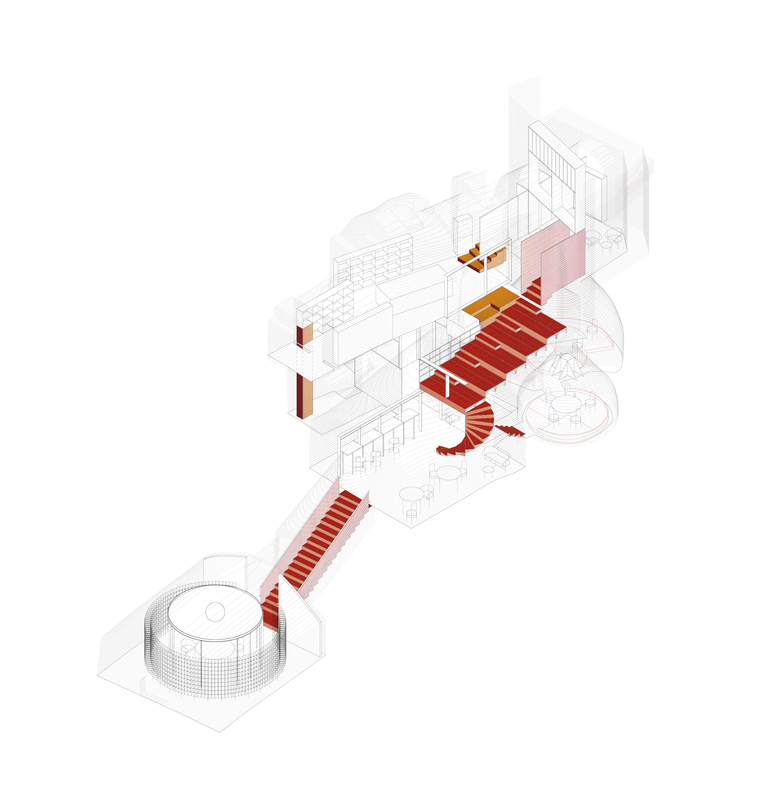 The relevant depth of the space is immediately mediated through a series of terraced steps which turns the descent into livable social platforms: an inner “belvedere”. This scenographical interpretation of depth leads to the room where the bar accounter is the epicenter of a series of intimate voids carved out from the rock. A shiny columnade traces the axes to reach the two former water tanks and finally brings the visitors to the “treasure”: the cellar. The last most secret room is dedicated to the care and to the display of a huge collection of precious wines. The display is a circular parade of bottles: a carousel of delights. A table for wine tasting is included in a thermo-regulated glass room: a bubble in a bubble. 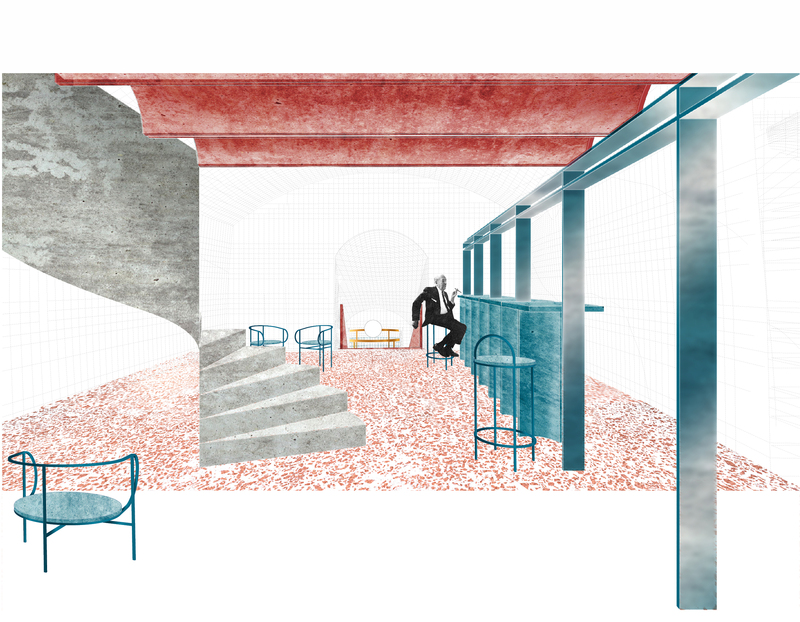 This is the center of a “panopticon” visual experience which, thanks to the continuos eye-contact with the shape of the room and its content, overtakes the significant gap of temperature between the space for wine and the space for people. The original material nature of the cave is enhanced by the use of a continuos paving made out terracotta fragments mixed with concrete and sands from local stone. 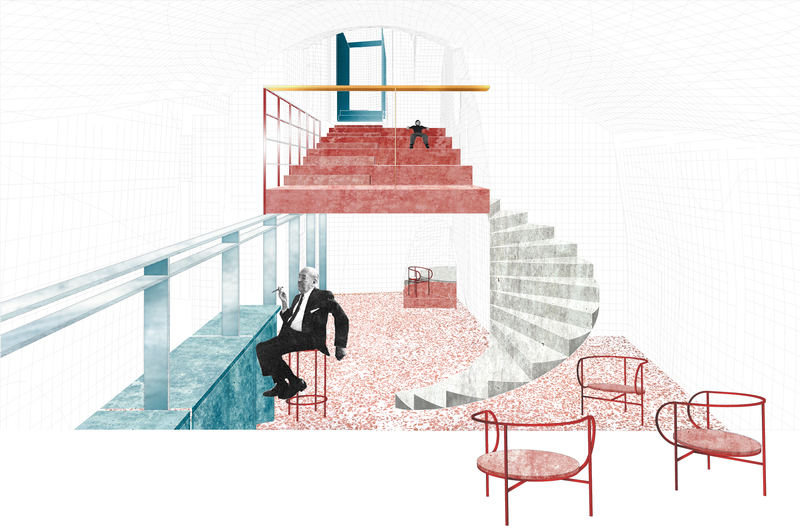 An alchemical “terrazzo” able to mix mediterranean memories from the past and the future. The terraces are realised by structural beams of coloured concrete. A counter balance to the continuity is given by metal columnades which introduce a new reflective pase in the rythm of the space. 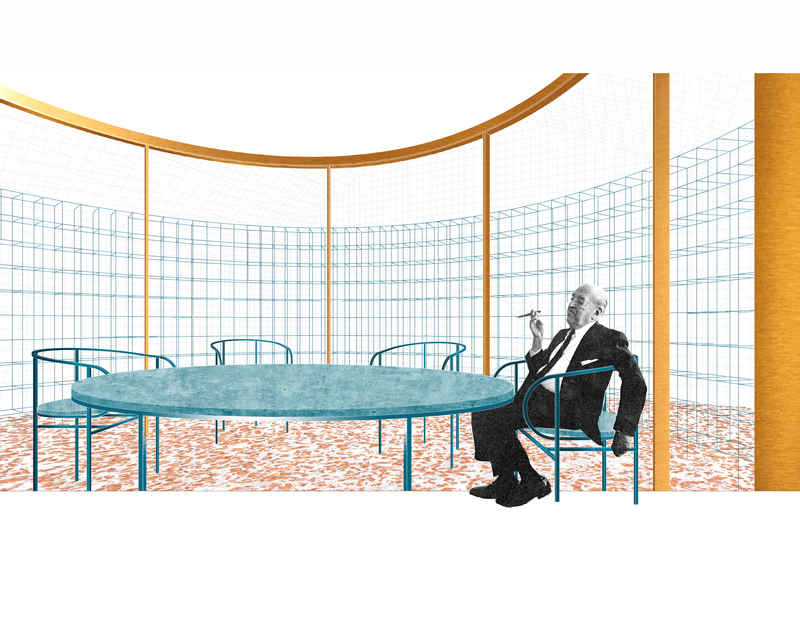 All furnitures are wireframe steel curved structures which suspend thin concrete coloured slabs.